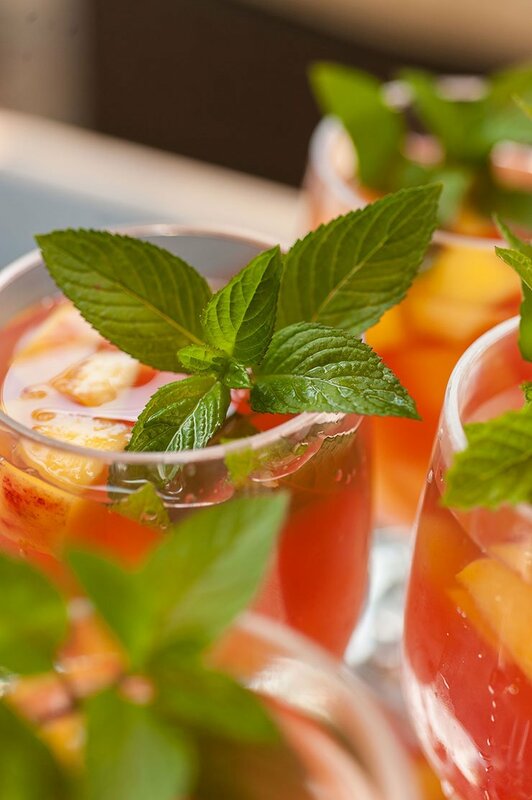 This tropical watermelon sangria is like a Hawaiian vacation in a glass! Fresh squeezed watermelon juice, coconut and sparkling citrus flavors make this a perfect pool party signature cocktail. 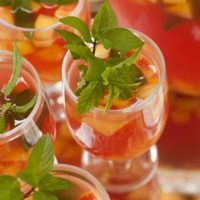 There’s no better cocktail to serve during the summer than a big, colorful, freezing glass of tropical watermelon sangria. 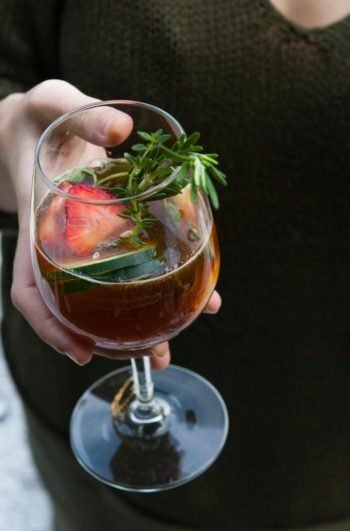 I make a few different kinds of sangria and love serving new ones at every party I throw. If you’re in a tropical mood, this one’s as good as it gets. The mint garnish really makes this sangria. Mint and watermelon are two of my favorite summer flavors to pair. Mint grows so easily in my back yard, so I just pick a few leaves, give them a smack and place a few in the glasses after I pour the sangria and add the fruit. I served this sangria at one of my little kiddie pool parties. My husband and I have a 6-person kiddie pool that we set up in our little Brooklyn back yard and we spend entire weekends in there. I made this yummy sangria and whipped up a few tropical deviled eggs to serve in the shade. 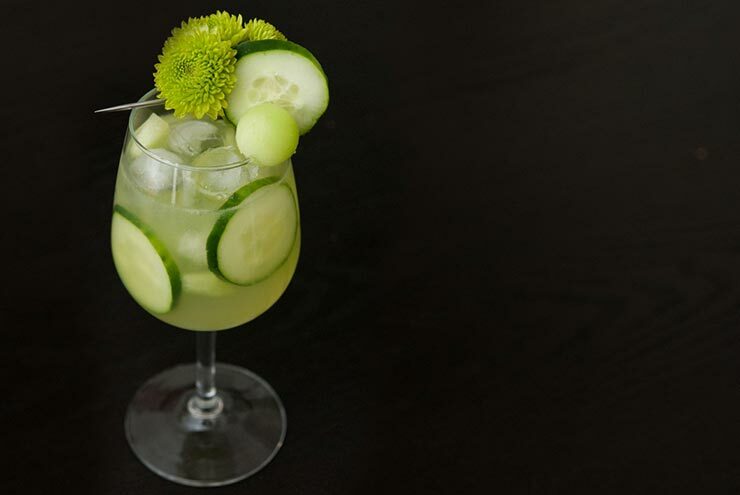 And if you’d like to try another tasty, fruity sangria, try my Honeydew & Cucumber White Sangria! 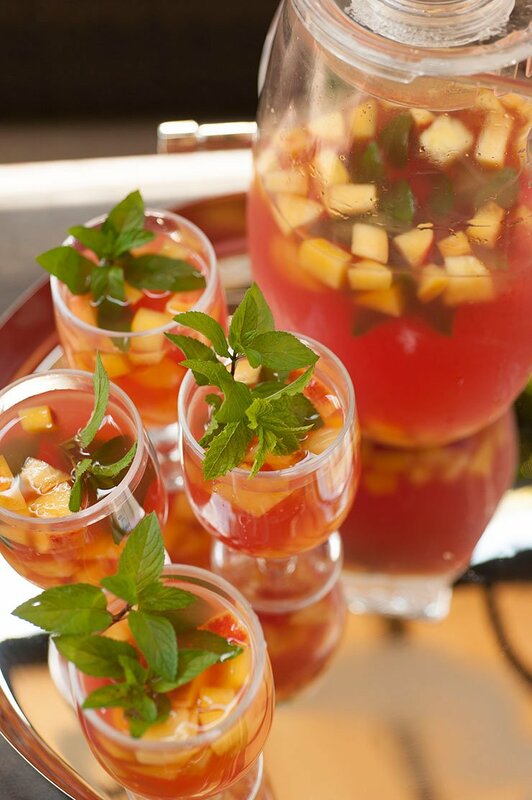 This tropical watermelon sangria is like a Hawaiian vacation in a glass! Cut open your watermelon and set aside about a 1/3 to be used for your sangria fruit. Juice the other 2/3. If you don't have a juicer, simply put chunks of your watermelon in a food processor and chop it up till it's nothing but mush. 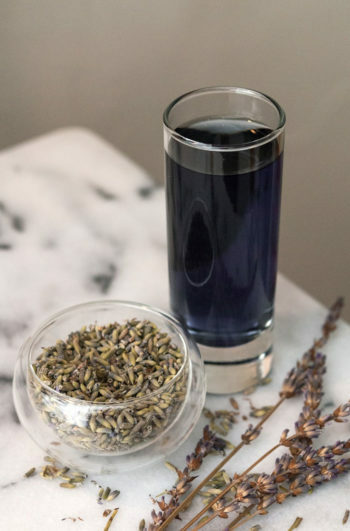 Pour it into a mesh strainer over a bowl, and gently press it with a big spoon. You won't get every drop of the juice out, but you'll get a lot of it! Set it aside. Chop and add your fruit. Make sure to chop your apple, pineapple and peach into tiny pieces. A lovely idea is to ball your watermelon. 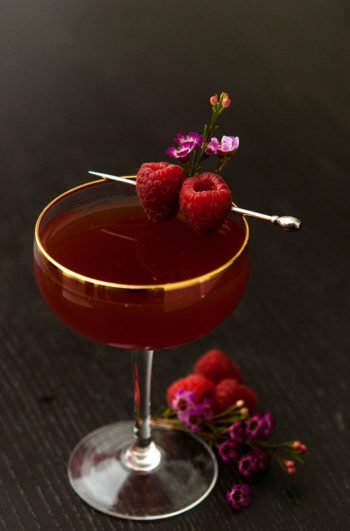 It just looks so pretty in your guest's glasses! Place all the fruit in a large pitcher. 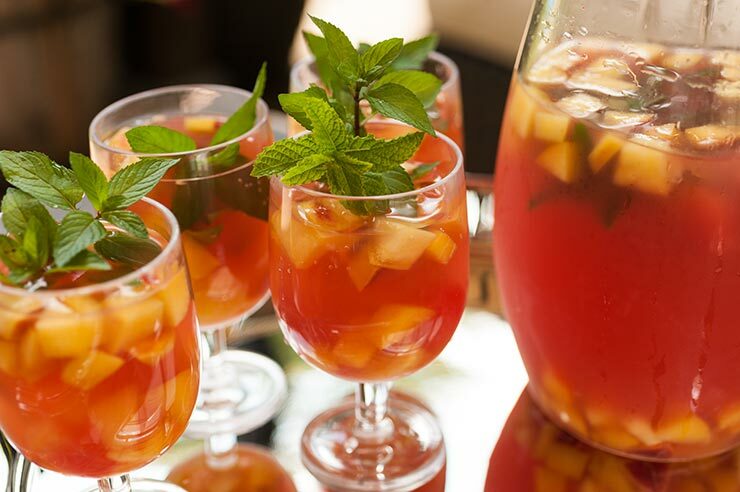 Add the white rum, Triple Sec, Malibu and watermelon juice to the pitcher with your fruit and stir. Allow to sit overnight. If you're adding a prosecco sparkle, add ½ bottle to your pitcher just before serving, and gently stir. You'll require a large pitcher, fruit juicer (or food processor and mesh strainer) for this recipe.